Reprinted and translated in DIE RÄCHER COMIC-TASCHENBUCH #5 (German). Updated some 30 and 35 Cent Variants, information from: FANTASTIC FOUR #171 (30 Cent Variant), AVENGERS #147 (30 Cent Variant), AVENGERS #149 (30 Cent Variant), AVENGERS #150 (30 Cent Variant), AVENGERS #161 (35 Cent Variant), AVENGERS #163 (35 Cent Variant), and AVENGERS #164 (35 Cent Variant). Metropolis COO Vincent Zurzolo has just completed a deal that may very well be the largest 30¢ variant deal ever. Included in this collection are over 150 30¢ variants like X-Men 98, 99 and 100, Marvel Triple Action 29 and 30, Super-Villain Team-Up #5, 6, and 7 and Captain America 196-200. Other titles include Amazing Spider-Man, Avengers, Conan, Daredevil, Fantastic Four, Marvel Adventures, Marvel Double Feature, Marvel Premiere, Marvel Spotlight including 28, Marvel Team-Up, Marvel Two-In-One, Powerman, Thor, Tomb of Dracula, Warlock and Werewolf by Night. There are also about a half dozen 35¢ variants. The collection is currently being processed but want lists are welcome! Please email your want lists including title, issue # and grade range to vincentz[a]metropolisent.com (email). 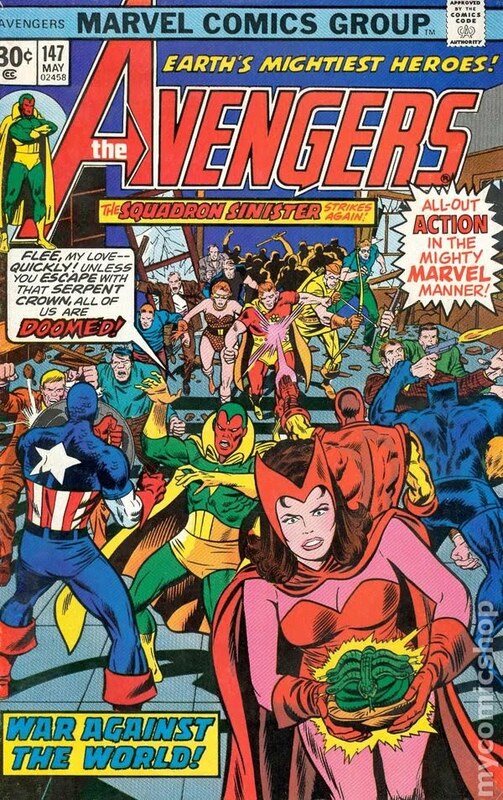 Below is a complete list of all the 1976 Marvel comics which had 30 cent variant covers. Much of the information included was first gathered by Jon McClure, and was published in several issues of Comic Book Marketplace (which I highly recommend to all serious Golden, Silver, and Bronze age collectors). I've included not only every issue, but also the cover date, the style of the price blurb, the estimated degree of scarcity of each issue, and whether or not I need it to complete my set.